Supper Kernel Basmati is the world's best rice produced in Pakistan. Our mission is to present this unique natural gift with utmost care in its processing without compromising on its original organic tinge. CROWN RICE is providing services in the field of RICE processing of all types e.g Kernel Basmati Rice, Super Basmati Rice Long Grain Rice and 385 Basmati Rice (white and brown husked rice) over many years. 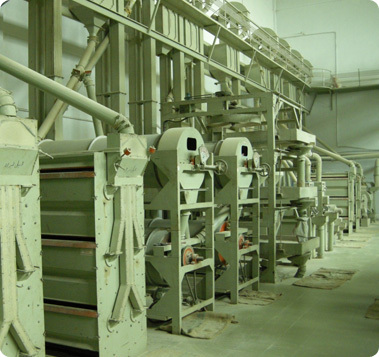 Our processing/ production capacity is twelve tons per hour. The trust of the customers in our quality control and performance is the proud heritage we jealously strive to preserve. Copyright 2011 Crown Rice. All Rights Reserved.